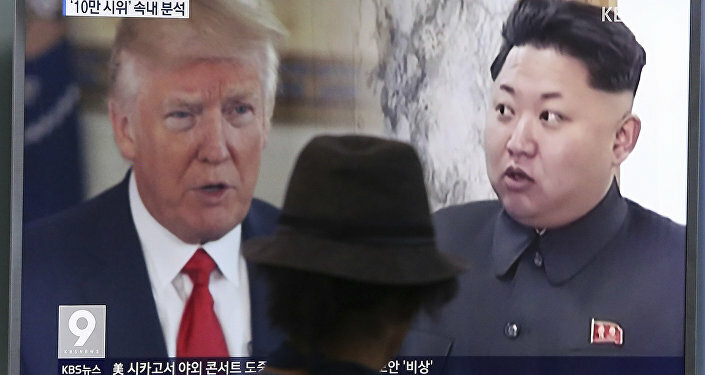 Former Defense Department analyst Colonel Karen Kwiatkowski says that Donald Trump and members of his administration have been deliberately fostering public hysteria over North Korea. 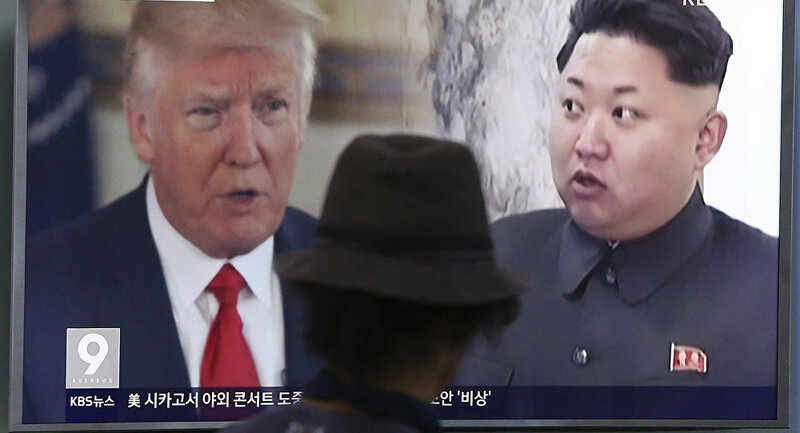 WASHINGTON (Sputnik) — President Donald Trump and members of his administration have been deliberately fostering public hysteria over North Korea to drown out voices opposed to any US military buildup, former Defense Department and Air Force analyst Lieutenant Colonel Karen Kwiatkowski told Sputnik. During a speech at the UN General Assembly in New York earlier in the day, Trump said the United States would "totally destroy" North Korea if it was forced to. On Sunday, US Envoy to the UN Nikki Haley warned that the United States had "plenty" of unilateral military options to choose from to address Pyongyang’s missile tests. "The public hysteria being promoted by the [Trump] administration… indicates to me that this is an attempt to entertain the US population through fear, and shut down or limit public dissent," Kwiatkowski said on Tuesday. The Defense Department and its major contractors have been alarmed at the American public’s growing opposition to massive spending and endless US military adventures and interventions around the world, Kwiatkowski pointed out. "That we are speaking today of North Korea and its destruction by the US military reveals the driving and desperate concern of the Pentagon and its economic dependencies," she said. The United States has repeatedly tried to use the United States as a cover and justification for waging major wars around the world over the past nearly 70 years, Kwiatkowski recalled. "When the US goes to war as it did in Korea in 1950, Yugoslavia in 1991, Iraq in 1990 and again in 2003, it was under the auspice or strong appearance of UN support," she said. Current US Ambassador to the United Nations Nikki Haley has tried to build up support for a similar war against North Korea this year, but so far she had largely failed, Kwiatkowski observed. "Haley’s efforts at the UN have been designed to garner such support this summer, and it appears she has been less than fully successful, in part because taking a US fight to North Korea is very similar to declaring war against China and Russia," she said. The ploy had failed in part because Moscow and Beijing had both grown in global stature and influence in recent years, Kwiatkowski explained. "The governments of both China and Russia not only hold UN Security Council veto power, both have asserted themselves globally, financially and militarily in the past decade," she said. Also, US propaganda had not been successful so far in making the case for renewed war against North Korea to the American people, Kwiatkowski added. "The domestic propaganda battle by the US Government and domestic war advocates has been largely ineffective, and does not seem to be catching fire yet," she said. Efforts to play up the alleged North Korean threat to the Pacific island of Guam, a US dependency had also failed, Kwiatkowski noted. "Even the potential of a North Korean missile attack of US territory Guam, a tourist location serving a largely Asian clientele, was viewed by many residents of Guam as not much more than a schoolboy spat between two flamboyant and prone-to-exaggeration politicians," she said. The Korean security crisis could be finally resolved if the United Statres finally agreed sign a lasting, full peace treaty with Pyongyang as it had failed to do since 1953, Kwiatkowski stated. "What needs to be done is to actually end the Korean War by committing to the peace treaty between the North and South that the 1953 Armistice was supposed to foster. The US government seems institutionally unable to support such a peace treaty," she said. Washington did not want to sign such a peace treaty because it would then no longer have the excuse to continue to operate its massive military bases in South Korea, Kwiatkowski commented. "Of course, if a peace treaty were signed between North and South Korea, the US military bases in South Korea would no longer be required. Any treaty would likely require these US bases (Army, Navy, Air Force and intelligence operations) to be closed or shifted to South Korean military control," she said. All war-games scenarios on a new Korean War result in greater global war with massive casualties and environmental destruction, Kwiatkowski warned. "Any hot war with North Korea results in literally a billion people dead… [yet there are no fundamental US interests in North Korea than cannot be peacefully acquired or accomplished with the help of China and Russia," she said. The Trump administration was seeking to intensify the crisis or defuse it, Kwiatkowski remarked. "Clearly, the US government is seeking to intensify the crisis, not diffuse it," she said. US military needed the justification of continued and worsening crises because the Pentagon faces very real and very severe budget and influence reduction in coming years, as US debt grows rapidly and the US economy slows, Kwiatkowski concluded. Last week, North Korea tested an intermediate ballistic missile, which flew over Japan before falling into the Pacific Ocean about 20 minutes after the launch. 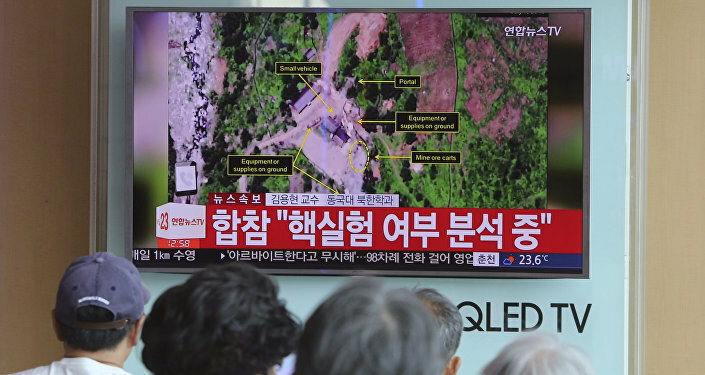 The situation on the Korean Peninsula has escalated in recent months due to Pyongyang's ballistic missile launches and nuclear tests in violation of the UN Security Council resolutions. The UN Security Council has imposed sanctions on North Korea, which, however, have failed to prevent Pyongyang from conducting new tests.